Have you been charged more than you should for your phone? 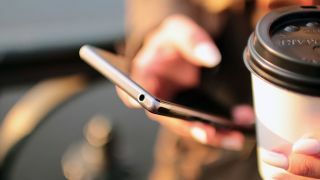 Around 4 million paying customers have been overcharged by networks on their mobile phone deals in the UK, according to research carried out by Citzens Advice. That's because customers are being charged for their phone after the contract has ended. An estimated total of £490 million has been charged on top of contracts. This means, on average, customers are charged an extra £22 per month but up to £38 per month for higher-end handsets. Older people are most vulnerable, being twice as likely to be overcharged an average of £264 in a year. And according to the study, some of Britain's biggest mobile phone networks - EE, Three and Vodafone - routinely charge customers extra for their handsets after they have already been paid off. According to the study, some of Britain's biggest mobile phone networks - EE, Three and Vodafone - routinely charge customers extra for their handsets after they have already been paid off. Once a contract ends the customer owns the phone outright. However, many customers don't realise this and as a result have been getting charged when really they should only be paying for calls, texts and data. This happens as the cost of the phone can be hidden in the overall contract which is often a bundle that typically lasts about two years but then frequently roll over. Citizens Advice is calling on the mobile phone networks responsible to make these charges more transparent by using this system of separation. Gillian Guy, chief executive of Citizens Advice, said: "We’ve heard a lot of talk from government and the regulator but now we need action. Other companies have already stopped doing this so we’re looking for these three major providers to follow suit. "In the meantime, consumers should check their phone bills to see if they can save money with a SIM-only contract or upgrade to a new phone."